Original 32 X 23" Photo in stunning original blown glass cover with Walnut frame and pine backing. There has only been one other example of this photo to have been uncovered. It was sold through Classic Auction. It was not nearly in the condition this is in. This one is pristine. The blown glass cover original to the frame is perfect. The walnut frame has only minor touches of wear. The photo itself is Near Mint. It is free from any damage. The interesting thing about this one and the other one that sold previously is that they are both identical in every way except condition. The frames are exactly the same and the backing is exactly the same. 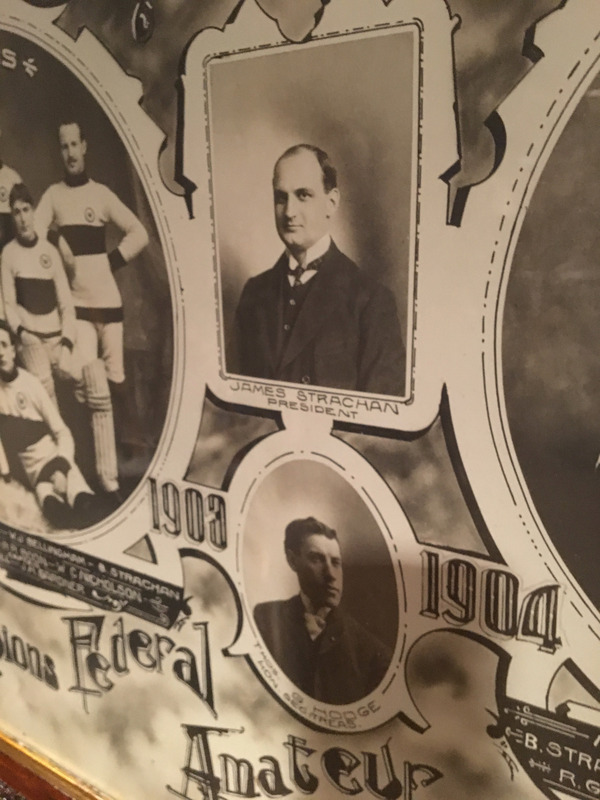 This leads me to believe that the photos were commissioned by the Wanderers to the Swan Photography Studio in Montreal. In checking the records for photography studios in this era there is a Swan Photo that existed from 1902-1913. 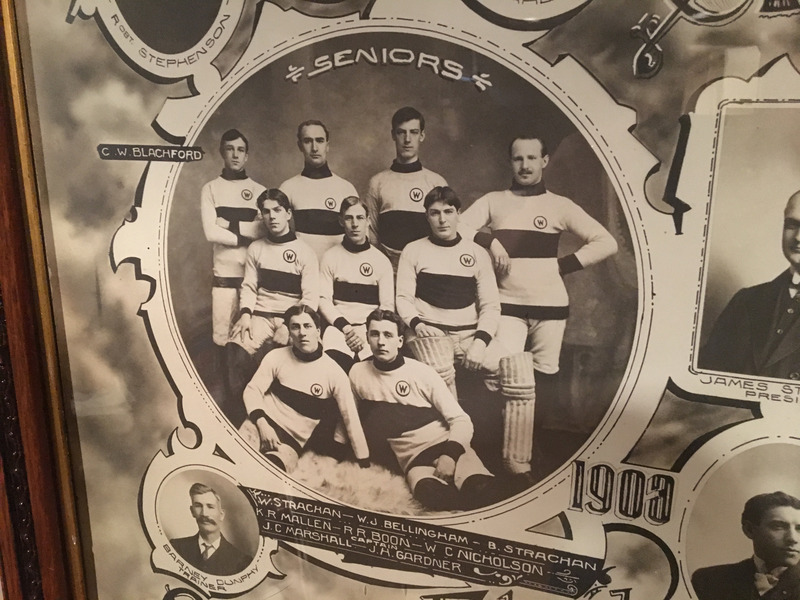 This size of the photo is 32" X 23 " and features both the Senior Montreal Wanderers team and the Intermediate team with the Administration and Coaches. The historical significance of this photo is immense. 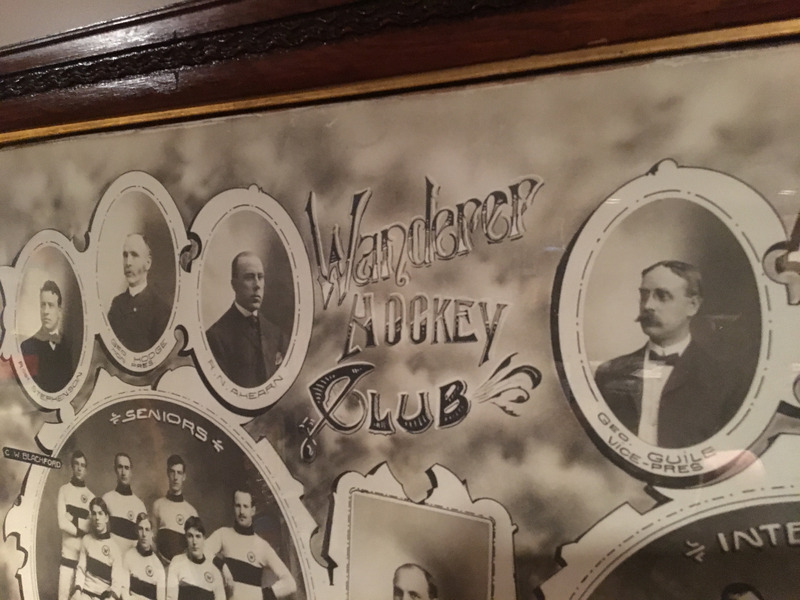 The 1903-04 season was the first for the Senior Montreal Wanderers hockey club. 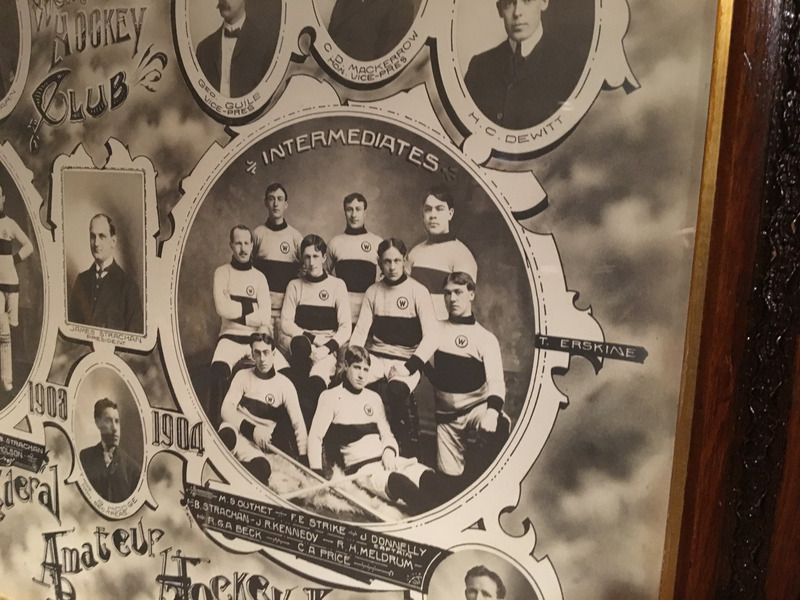 They were organized from players from the Montreal Hockey Club which had won the Stanley Cup the previous season of 1902-03. 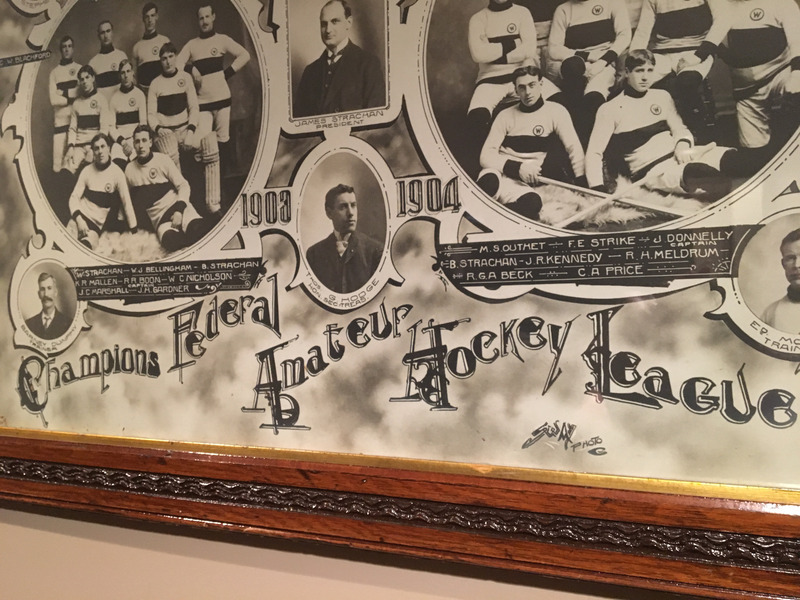 The Club joined with teams rejected for membership in the Canadian Amateur Hockey League (CAHL) and helped found the Federal Amateur Hockey League (FAHL) on December 5, 1903. 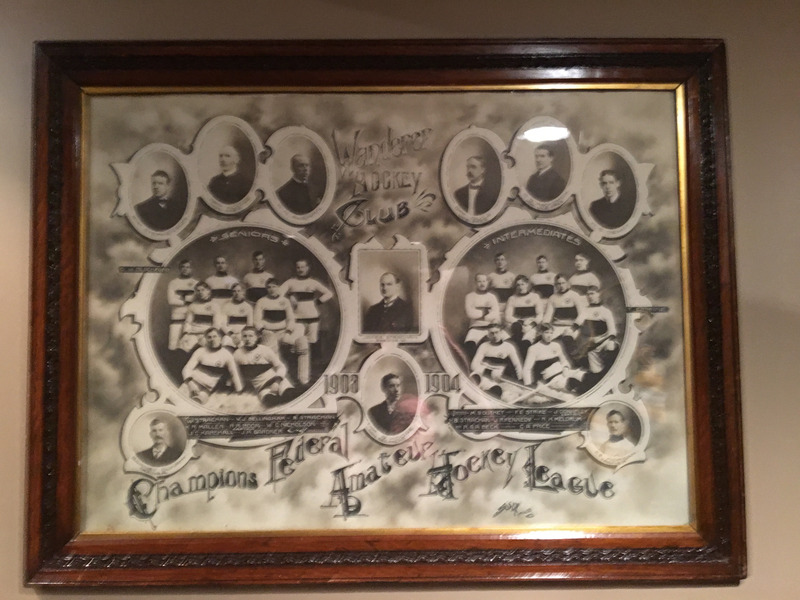 The Wanderers would win the FAHL Championship in their inaugural season. This photo honours that victory with incredible artistic flare. The players on this team include Hall of Famers, Jack Marshall, Jimmy Gardner and Dickie Boon. 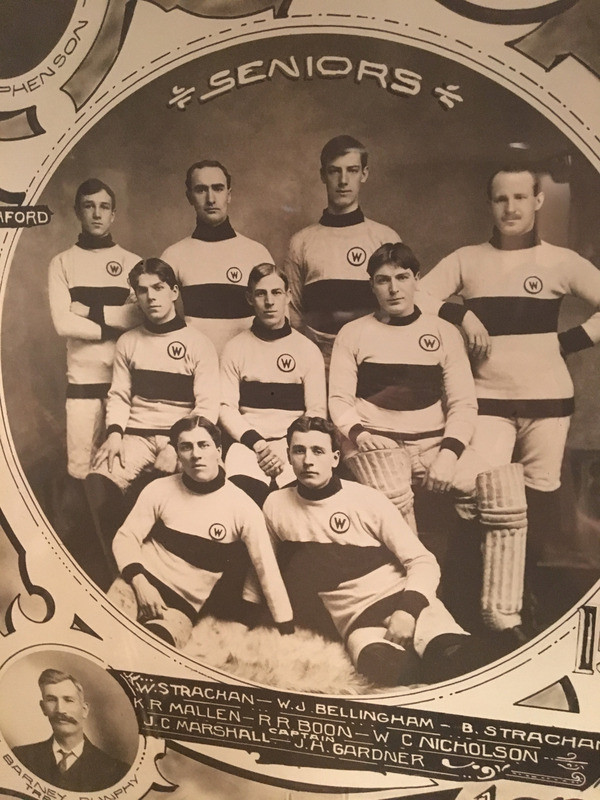 Other players include goalie Billy Nicholson (Goalie), Billy Strachan, Ken Mallen, Billy Bellingham, Bert Strachan and Cecil Blatchford. This is in my humble opinion the nicest original hockey photo you could possibly imagine. It's originality, size, artistic rendering and condition all combine to make it possibly the nicest hockey photo from this period you could ever imagine finding.